Why would I need self storage in Montclair, CA? There are a variety of reasons why you might need self-storage in Montclair, CA. How much is a storage unit in Montclair, CA? The cheapest storage unit in Montclair, CA is $42.00 per month. What size storage units do you have available in Montclair, CA? In Montclair, CA we have sizes that range from 4'x4' to 10'x30' to suit your storage needs. How much is it for a 4'x4' storage unit in Montclair, CA? The cheapest 4'x4' storage unit in Montclair, CA is $53.00 per month. Montclair is a small city of only 6 square miles located in Southern California's San Bernardino County. The city is part of the metro area that makes up the Inland Empire, a term used to refer to the area east of metropolitan Los Angeles. Montclair has been steadily growing for the past several decades, attracting many new residents with its range of amenities. Montclair is within an hour's drive of Los Angeles, the Temecula Valley Wine Country, Disneyland, Universal Studios and Hollywood, depending on traffic of course. However, there are plenty of things to do within city limits as well. The city's community facilities include a community center, gym, library, technology center, youth center, recreation facility, several city parks and a skate park. The community has a men's basketball league and a women's volleyball league, and children can participate in Little League and Youth Basketball League activities. The closest museums are in nearby towns and cities and include the Chaffey Community Museum of Art in Ontario, the Planes of Fame Air Museum in Chino and the Daniel B. Milliken Planetarium in Rancho Cucamonga. Montclair's unemployment rate is significantly lower than the California state average, which is a great sign if you're planning to join the local job market. You can find a number of retail jobs at one of the city's largest employers, Montclair Place. Local educational facilities and school districts also provide a large number of jobs in the area. There's a mixture of public and private schools serving the Montclair community, including a Montessori school and an arts-integrated school. Montclair is served by two school districts: the Ontario-Montclair School District and the Chaffey Joint Union High School District. Utilities: The city's central energy providers are Southern California Gas and Southern California Edison. The Monte Vista Water District manages residential water services. Garbage and Recycling: The city provides curbside collection of trash and recyclables. As a Montclair resident, you can also request bulky item pick-up two times a year. Transportation: The Montclair Transit Center is the city's public transportation hub, serving as a connection point for Foothill Transit, Omnitrans and Riverside Transit Agency routes. The median home price in Montclair is slightly higher than the state average and predicted to continue rising. However, there are a variety of housing options to choose from, including single-family homes, condominiums, townhomes and apartments. This wide range of choices will make it easier to find something to fit your needs. Our lowest priced units in Montclair, CA average $49.00 per month. 200 people have reserved units in Montclair, CA in the past 30 days. 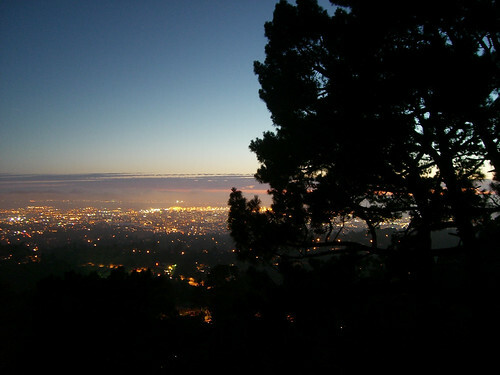 There are 3 locations within Montclair, CA's city limits. There are 2 locations in Montclair, CA that offer AC and Heating features.